So, my triathlon season starts on Bank Holiday Monday, which means I’m starting to wind down ahead of the race. And I’m already enjoying the familiar flutters of excitement and anticipation. 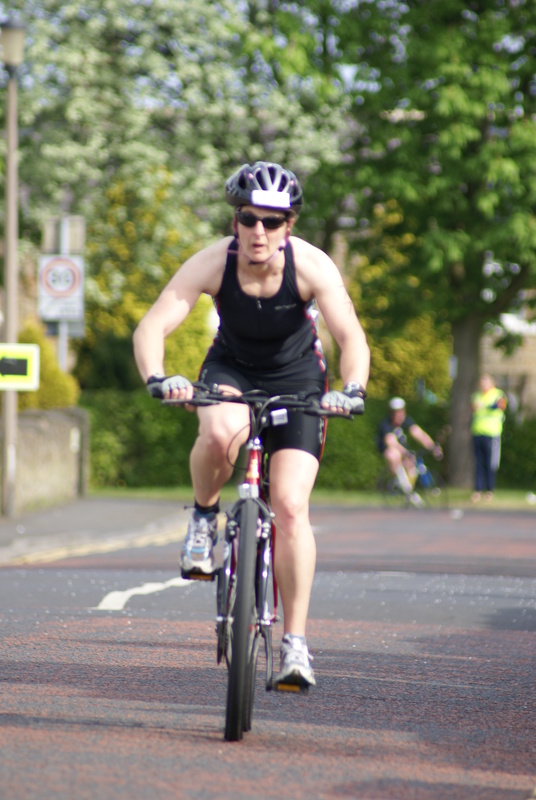 I’ll be going back to the scene of my very first triathlon and it will be my third time at this event. That thought sends my senses tingling, remembering the smiles, the exhilaration and massive sense of achievement I had from completing it the first time and immediately thinking I had to do another one. Training’s been good. Ian put together a great plan for me and I’ve been reaping the benefits of his triathlon coaching. This is the first year I’ve really had a solid triathlon focus with a bit of running, rather than in previous years where I’ve run and then added tri stuff in nearer the time. My first triathlon where I rode a mountain bike. As always there are things that could have been better. I haven’t managed to get out on my bike as often as I’d have liked, but I have mopped up more spin and indoor turbo sessions, thanks to Chrissie Wellington’s audio training. There’s nothing like a 4x world champion telling you to imagine you’re racing at Kona to conjure you out of a sweaty gym. So I have spent more time on a bike than in previous years and in the last couple of weekends, getting my road bike out and doing a couple of bike to run sessions (including one on the actual bike route) has perked up my confidence. I have questioned my sanity as I replaced a couple of spin sessions with pre-breakfast bike rides in the past couple of weeks. But quiet, traffic free roads and knowing I can get out there and survive when it’s freezing cold are quite good training sessions for race day. My running’s coming good. I’ve done some fast times at parkrun recently and to be honest I know it’s always the part I can manage. Running’s where I started, so it feels like coming home. My swimming is reliable. I’m swimming consistent times in training and covering much more than the distance I need for a pool based sprint tri. I still have the unknown of how I’ll react to race day nerves and swimming in the churning mass of bodies, but I’ve managed that before and swum well, so it’s just a case of making sure I go through my mental preparation and get myself as ready as I can be. I swam a 4x400m set at the pool last night, just getting straight in the water without a swim warm up to replicate race conditions. Of course, with no one else in my swim lane I didn’t have the choppy water, but as I started my first set one of the cleaners came round with the machine that looks like a giant hoover. The hum, together with the watery acoustics of the pool made for a really unpleasant kind of white noise and all I could think was that I hoped she would be gone quickly. When she came down the side of the pool where I was swimming, I really wanted to get away from the din and was conscious that my heart and breathing rate had increased a lot. 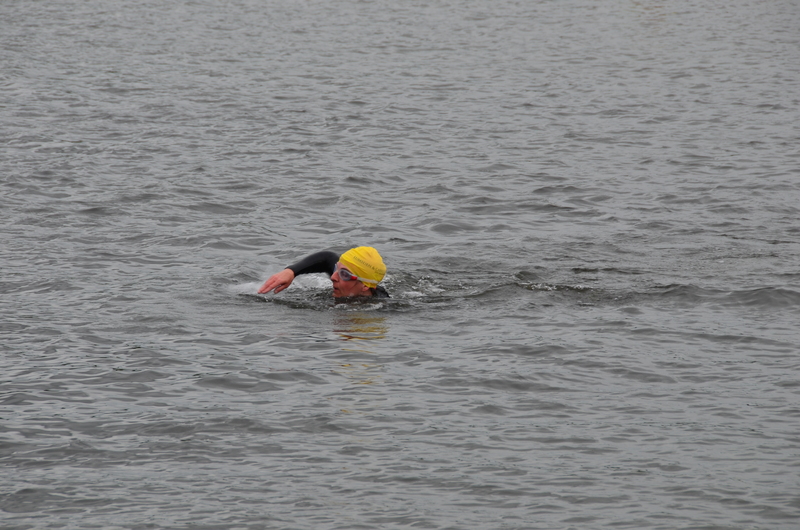 So I used it to simulate the adrenaline rush of the tri swim and battled my way through it. That was the fastest 400m of the four I swam. In the past I’ve focused on keeping the swim controlled and smooth, often thinking ‘slow down’ to help avoid having to take a time out at the end of each length. But I’ve also managed to pull some quick times out of the swim in competition, when I’ve felt anxious and out of breath. So I should have enough experience to cope with how I feel in the water on race day. I also did a spot of transition practice with my PT this week. It’s always a balance between keeping moving and managing to stay upright and in one piece, particularly getting on and off the bike. Because I’m a bit of a klutz I usually opt for safety over speed, but even just thinking about getting on the bike and practising putting on all the kit a few times helped me shave a few seconds off. I can’t do much about the weather, but it is looking like it’s improving. I certainly felt a lot warmer on my bike this morning than I did last week and I know I can battle through some pretty windy conditions. I have the back up option of putting a jacket on before I get on the bike if I really feel like it’s going to be a cold one, but at the moment, I think it’s just Geordie up and get on with it. I’m normally so full of adrenaline I don’t feel the cold anyway. The sunshine will no doubt taunt me as I take it easy the next couple of days before the race. But I’ll be catching up with my running friends, volunteering at parkrun, and spending time on the farm seeing all the new animals, including a pair of alpacas and two pet lambs I’ve named Bonnie and Clyde. So that’s it. The training’s done, bar giving the legs a gentle tickover tomorrow. There will no doubt be the usual last minute anxieties, but I’ve coped with them before and know I can again. This isn’t even a target race, but it does feel good to be getting ready to start my multi sport season. Triathlon = 3 x the sport = 3x the fun. It’s been a good week of training and really the first one with my mind focused on the next big race, the Great North Run on 16 September. On Monday I enjoyed my weekly kettlebell session, a good weights workout on the beach, with a little devil of a leg finisher at the end. Probably not ideal preparation for a fast, flat 5 mile race the following night, but I still managed to coax a decent performance out of my legs for the Bridges of the Tyne race. On Wednesday I punched my way through a boxercise class – always a good way to let off steam, sweat out some calories and energise me out of a mid-week slump. Then Thursday was my usual early morning PT session with Ian on the beach. A no kit workout this week, just using my own body weight for a good mix of core, cardio and resistance work and a good chance to catch up on goals and progress. With a fair weather forecast on Friday, I decided to brave my first cycle to work. I’d scoped out a couple of routes last summer, but never actually tried them in week day traffic. I opted for my trusty mountain bike as the safe and sturdy option and because I planned to take a bit of an off road route that I thought would be a short cut. I set off nice and early, allowing myself plenty of time to get to work, and hoping to dodge most of the traffic. My bike felt heavy and I immediately remembered why I enjoy riding my road bike more – the gear changes are so much smoother. But my mountain bike is solid and the riding position gives you a good view of the road. My off road short cut was over rougher ground than I remembered and with lots of overgrowth and a bit of an upwards incline, it was hard work. I’d planned on the journey taking just over an hour and 30 minutes in, I felt I still had a long way to go. Luckily, the rest of the journey was mainly on the road and away from too much traffic, so I found that much smoother going. With a few stops and starts for traffic lights and busy road crossings, I made it to work in 1 hour and 7 minutes and felt really awake and ready for the day. During my lunch break, I took took advantage of the new cycle option on Google maps to see if I could plot a slightly easier route home. With a combination of electronic and paper maps, I worked out a slightly different alternative, but it would only be clear what the terrain was like once I’d ridden it. The return journey was a bit easier. I told myself it was downhill to the coast and I soon covered a good number of miles on the road section. Traffic wasn’t too bad either, with a long run of cycle lanes. It was only when I got to a large roundabout and tried to find the off road paths that related to my map, that I really slowed down. I couldn’t find the exact one I’d plotted, but with a bit of exploring and heading in the right general direction, I got onto the gravel paths of a country park and then onto the smooth tarmac of the waggonways. Now it really was down hill all the way and I was zooming along, happy to be almost home and hungry! When I do this again, I need to plan a better mid afternoon snack to fuel my return journey. Anyway, I made it home in the slightly quicker time of 1 hour 4 mins on a journey of 11 miles and a round trip of just over 22. I wasn’t really cycling hard or fast in either direction, as I was just happy to manage to get some bike miles in and fit them around my regular day. On Saturday I went to help out at Newcastle parkrun, catch up with some of the usual crew and meet John, from the Brighton parkrun, up here for a stag do and volunteering on the course. 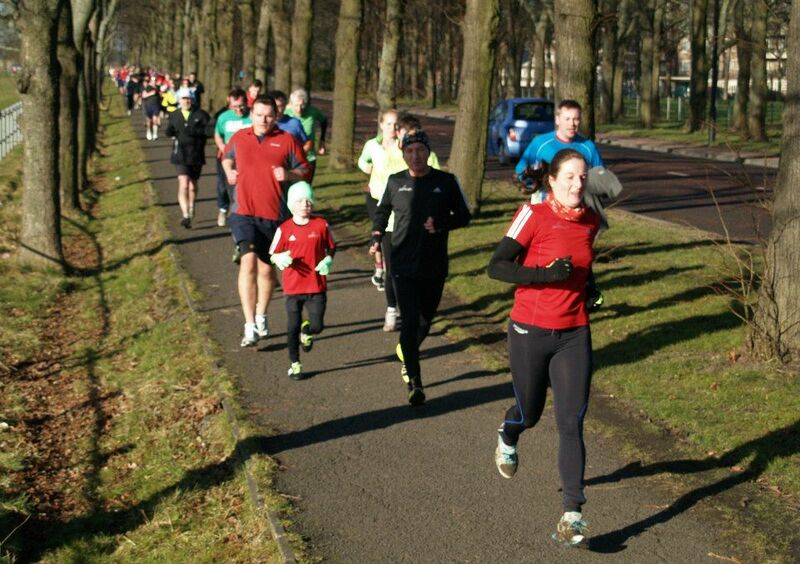 Now that’s parkrun dedication for you! Home for a few chores and the usual pottering about, then off to join the Tyne tri club for a swim at Blyth pool. It’s been ages since I swam with the club and I knew it would be a tough session. This week, coach Sean advised me to try and keep one of my goggles in the water when I turn my head to breathe in, so that I’m looking at the water, rather than up towards the walls of the pool. As always, it’s one thing at a time with me and my swimming, so any effort at pacing was lost as I tried to get to grips with this advice. A couple of times, I ended up spluttering with a mouthful of water and broke into a bit of recovery breast stroke. But I like to think I was making progress, and I did get a good long swim in, thanks to lane newcomer Kerry who kept me going. Needless to say, I slept very well on Saturday night after an hour in the pool. Sunday was long run day. And the weather was perfect – bright, sunny and warm with a bit of a coastal breeze. I’m changing my focus to running now in preparation for the Great North Run. I’ll still keep my other training going, but now my most important sessions will be the weekly long slow runs, gradually increasing in distance so that I can confidently tackle the 13.1 mile route. With a good week of training behind me, I just decided to relax and go easy today and not worry about pace. So I kept it deliberately slow, with easy breathing as I set out along the coast. I was about 2km along when I realised I hadn’t heard anything from my Garmin and when I looked, I wasn’t getting any pace or distance readings. I stopped and reset the GPS, making sure it picked up the signal this time, then set off again. I really had a nice run. It was good to be out in the sunshine and greeting the many other runners out doing the same. With no pace or time targets, I was just free and easy and taking my time. I ran out towards the lighthouse and then turned back, mentally allowing for 12km and adding the 2km I’d run earlier but not recorded. As I came up off the promenade and past Spanish City, I felt good and strong, relishing the easy miles at the start and began to stretch out a little, mentally in ‘cruise mode’ and relishing the fitness that allows me to just do this. 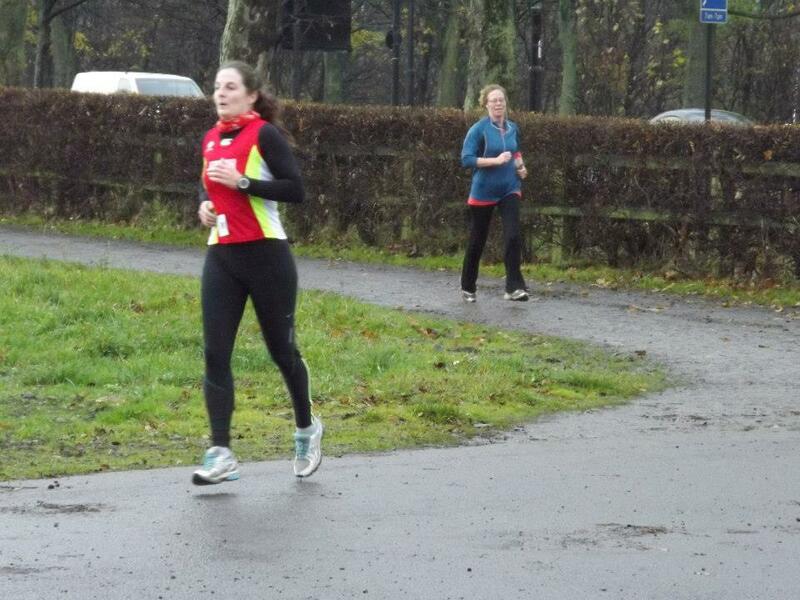 At this point I saw Diane, a Tyne Bridge Harrier I know from parkrun, coming towards me alongside another runner. You could see on her face she was feeling the same as me, just out, running and enjoying the sunshine. It was great to see her and I lifted up my sunglasses, gave her a shout and we high fived as we passed. The nice easy running feeling stayed with me as I clocked up 12km, so I decided to continue and finish the 14 I had on my plan in one run, effectively treating the 2 I’d run but not recorded on my Garmin as a warm up. I kept my focus on just turning my legs over nice and easy, picking my feet up and shortening my stride, never really getting to a speed that stressed my breathing in any way. The extra couple of kilometres did turn out to be a little tough and I started to feel my hips knees and ankles beginning to strain. But a bit of focus on technique and relaxing my thoughts and I managed it, grateful for the early pace that felt a little too easy, now giving me the endurance to keep going. With my mileage and a bit more done, I stopped and enjoyed a cool down walk and stretch and felt good about my first long run completed.